Born in 1829 to a working-class family in upstate New York, Lucy Ann Lobdell was not your average girl. Donning her brother's clothes, she worked on the... farm and in her father's saw mill, and demonstrated marksmanship skills that earned her the nickname "The Female Hunter of Delaware County." After leaving home, she moved to the frontier, married a woman, and lived for sixty years as a man named "Joe." Because of nineteenth century social restrictions and gender expectations, Lobdell endured forced marriage, arrest, and incarceration in an insane asylum. 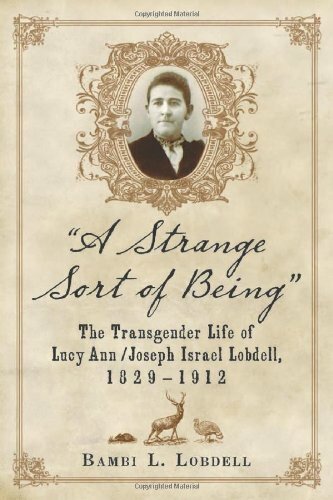 Although twentieth-century scholars have labeled her a lesbian, this study incorporates queer theory, analysis of stories about Lucy and Joe, and Lobdell's own writings to reveal that he was actually a transgendered man.